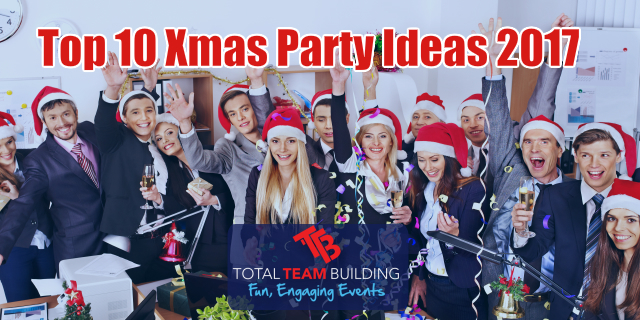 If your struggling for ideas for this years office Christmas party then take a look at some of our most popular events that you can do this year plus some other unique options that will surely be a hit. Adventure Quest is a combination of a scavenger hunt and an amazing race. Using an interactive app that uses GPS technology and image recognition functionality, teams will need to unlock a variety of challenges at gps activated hot spots strategically located around the city or location of your choice. They will be on the edge of their seat, as they answer questions, complete video and photo tasks, get hit with problem-solving and random on the spot challenges. This event can be run as a fully managed event or if budget is an issue, you could opt for a cost effective self-managed option. You can choose to end the event in any location meaning you could finish at a pub or restaurant to continue the festivities after your challenge. Xmas is a time for giving so why not make a difference and build some bikes or some toys for some deserving kids. Imagine the smiling faces of these kids as they are presented with their brand new bike or some brand new toys as an early Xmas present. A truly heartfelt program that highlights the true meaning of Xmas and teamwork. 3. Lets Get Cooking – Masterchef Style! 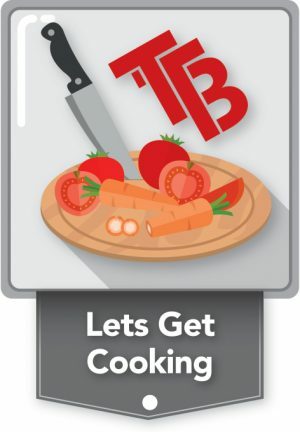 Let’s get cooking offers an opportunity to come together, to be creative and to share their culinary skills through a fun team based “Mystery Box” challenge. In the Let’s Get Cooking challenge teams will be required to create a dish for themselves and the judges out of the main ingredients supplied in their mystery boxes. This program is a great, fun event for all involved and the best thing is, that the teams get to sit down, socialise and enjoy good food and good company. A great way to unwind and celebrate! Barefoot bowls is a perfect event for any age or fitness levels and provides the perfect opportunity for socialising and fun in a relaxed setting. Afterwards enjoy some cheap drinks from the bar and order some food or organise a BBQ for an awesome xmas sundowner. Can your team Outwit, Outplay and Outlast all others? With the Australian version of Survivor being televised right now, it’s the perfect opportunity to build that excitement and tell your team that they will be playing survivor. Whilst no individuals will be voted off, this team vs team event is sure to be a memorable event. Finish the day with a BBQ and drinks for a great finish to the day. An oldy but a fan favourite! 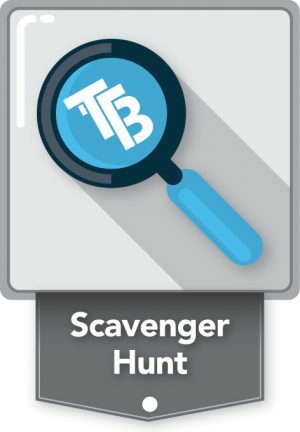 You can’t go wrong with a scavenger hunt as it provides fun and enjoyment for all. If you have done a scavenger hunt before then try our new “Adventure Quest” program. One of the greatest things about a scavenger hunt is that it can start and finish in any location so why not finish your event at a bar or restaurant to celebrate with your team. Teams will race the clock as they try and complete a series of 1 minute games. Its a fantastic fast paced event that provides lots of laughs and excitement. It can be conducted as a stand-alone program or could form part of a lunch or dinner type event. Can you decipher the clues and crack the codes in this fun and action-packed program. One of our most popular programs, the treasure hunt provides your team with a bit of everything from problem solving to fun recreational style challenges. Finish the day with a BBQ and drinks for a perfect finish to the day. There are lots of twists and turns in the all famous Amazing Race. Like the TV show, teams will race around the city completing checkpoints with the ultimate goal of getting to the finish line first. Teams will have lots of fun as there are a variety of challenges that will test them throughout the race. Why not finish the race at a pub or restaurant to celebrate. Set sail and enjoy the open water. For those that live in Western Australia, treat your team to a day on the Swan River. 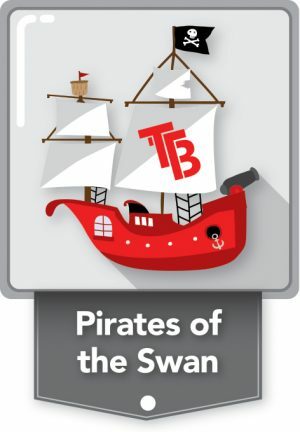 Boat cruises are very popular for end of year events but why not change it up this year and get your team to sail in Pirates of the Swan. In this exhilarating program teams will be hands on in sailing their boats around the Swan River in a quest to solve the Pirate code. This is a unique experience that will be remembered for a long time. Finish the day with a BBQ and drinks overlooking the magnificent Matilda Bay! Meetings are generally considered to be one of the worst parts of most people’s jobs, but have you ever asked yourself why? Even leaders tend to dread meetings, because this negative energy surrounding the word spreads like wildfire. But, there’s no good reason we should all hate meetings so much. In reality, meetings can be productive and useful. It’s all a matter of how you run them. In today’s business environment, a traditional meeting that lasts for hours and bores everyone in the room is hardly an effective use of time. Time is one of your most valuable assets as an organization, and you’re going to need to use it more efficiently to accomplish real goals. 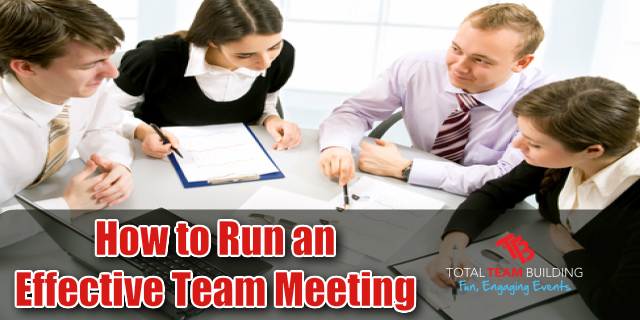 Let’s talk about how you can do a better job at running your regular business meetings. Seeing as time is such an important asset, it’s vital that you use as little of it as possible. Studies done on your working memory capacity have shown that not everyone is able to pay attention equally. Some people have more control over their level of concentration and focus, while others are unable to focus as long in tasks that are uninteresting or unengaging. This is why time is such a huge factor in the most successful meetings. Most adults are able to hold their attention span for up to 20 minutes, even if the topic they are paying attention to doesn’t interest them very much. If you hold a meeting that’s any longer than this, it will not be very successful. It is far better to have a short, productive meeting than a long, drawn-out and unproductive meeting. Some occasions call for longer meetings and cannot be shortened. If this is the case, then you need to use your time more wisely. Inform people ahead of time how long the meeting will be, what the agenda is, and how they are expected to contribute. That way people will be more prepared and can be more engaged in the meeting itself, helping them to hold their attention spans for longer. Keeping minutes in a meeting will make it so that anything you talked about won’t be lost or forgotten by the next time you get together. What’s the point of holding a weekly meeting if you end up talking about the same topics each time? Keeping minutes and logging what happened in a meeting will help you save time and make your meeting much more efficient for everyone. Send out a copy of the minutes after the meeting is complete, so that anything important that was discussed will be remembered by all the attendees, and will be known by those who missed the meeting. If you’re doing a 10-minute status report on a daily or weekly basis, you can get away with just talking by yourself the whole time. However, if you want to make a meeting that will be longer than 10-20 minutes, you’ll want other people to be engaged and participating. You can either assign people tasks ahead of time to do at the meeting, or you can stimulate discussion and carry on during the meeting. Although participation from others is important, you shouldn’t let someone else hijack your meeting. Remember to keep to the agenda and don’t waste people’s time. If someone is talking too much, isn’t making sense, or is just spending a long time getting to the point, you can take back the reins and stir the meeting back on course. It may be a good idea to talk to that employee afterwards and explain why you had to cut them off, to avoid hard feelings and help them to improve for the next meeting. The last point is arguably the most important: don’t host unnecessary meetings. Before you call for a meeting, ask yourself if the information can be effectively communicated some other way. If it’s a simple status report or a general informative meeting, can you send out the information to people outside of a meeting? If you decide that a meeting is necessary, you then have to think about who actually needs to be present for it to take place. Some meetings won’t require the entire team to be there, and you would be wasting time by requiring attendance from everyone. It’s better to selectively invite employees to meetings than to call everyone and have some employees waste time on something that will not involve them or affect them directly. Meetings should be full of purpose and should be clearly directed. If you don’t have a good reason for why a meeting needs to happen, then maybe you don’t need to have a meeting at all! Team meetings no longer have to be something to dread and drag your feet about. If you run meetings the right way, your team may not applaud you, but they will become more productive and will use their time for more valuable activities.